Set back on lake cannot be duplicated; Grandfathered in! Gr8 Walleye fishing frm dock! Charming year round home located on No. side Lake Washington; X from park. Adorable kitchen. Informal dining area w/lakeview Deck w/built in seating. Add'l deck overlooking water. LL den could be converted to bedroom; needs egress window. LL Family Room features fireplace & walk out. LL flex room has hallway/tunneled 2 lake! WOW!!! 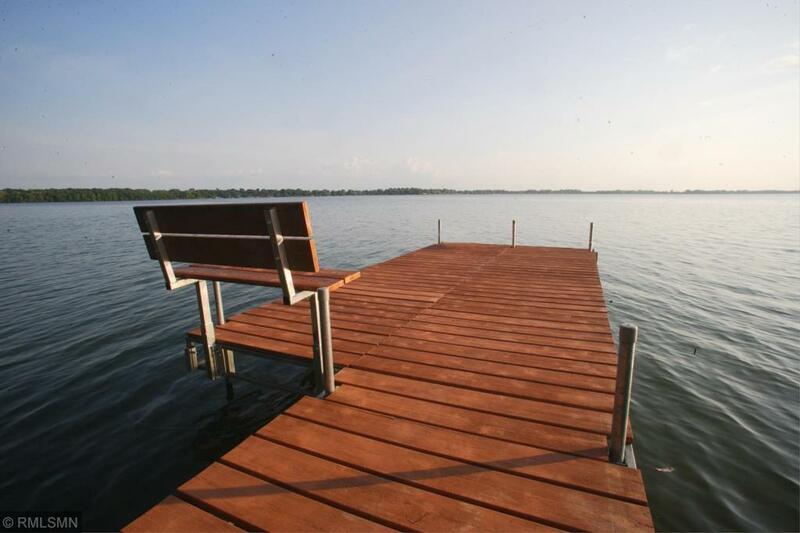 Step out 2 your dock which is included! 32 x 26 garage insulated & heated.